Your shiny new HTC One M8 is a pretty stellar device. From controlling your entertainment center to lock screen gestures and camera shortcuts to being pretty damn indestructible, this device has a lot going for it. 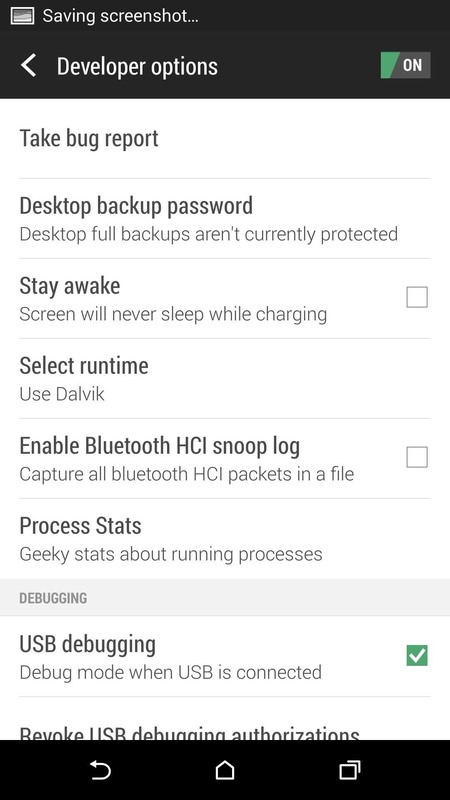 But one feature that Google has requested OEMs hide are "developer options", which is a standard set of options for all Android devices. 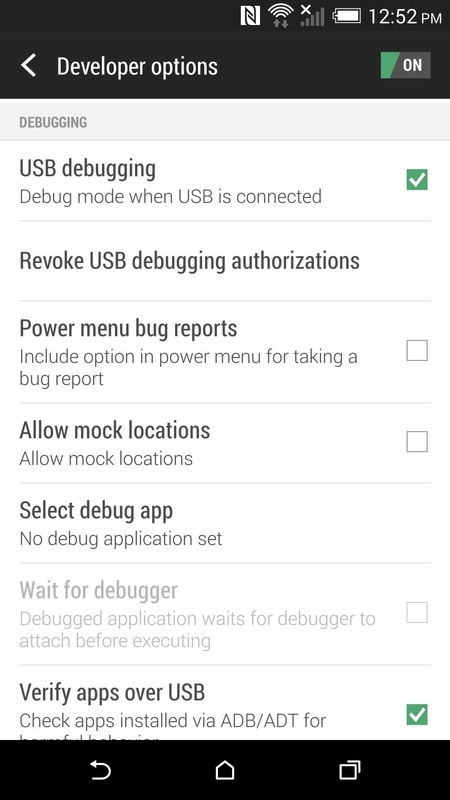 There are a lot of gems hidden in this menu, like "USB Debugging" mode, which is critical if you ever plan to root your new device. 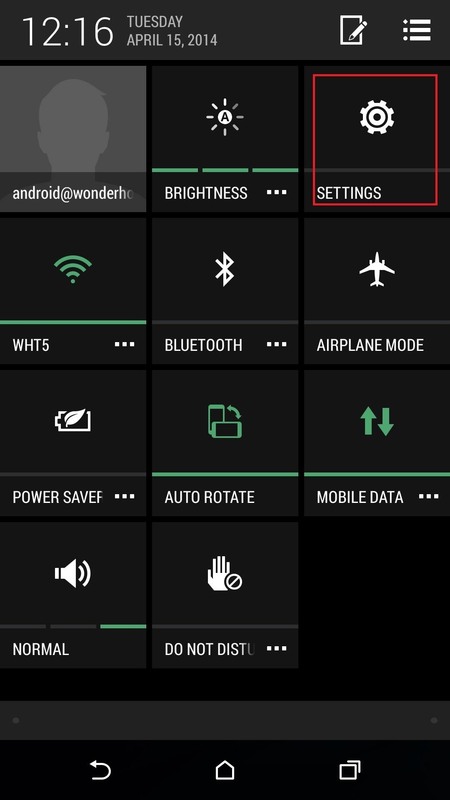 Start by pulling down your notification shade, tapping the button on the top right-hand side, and selecting "Settings", or just access them from your app drawer. 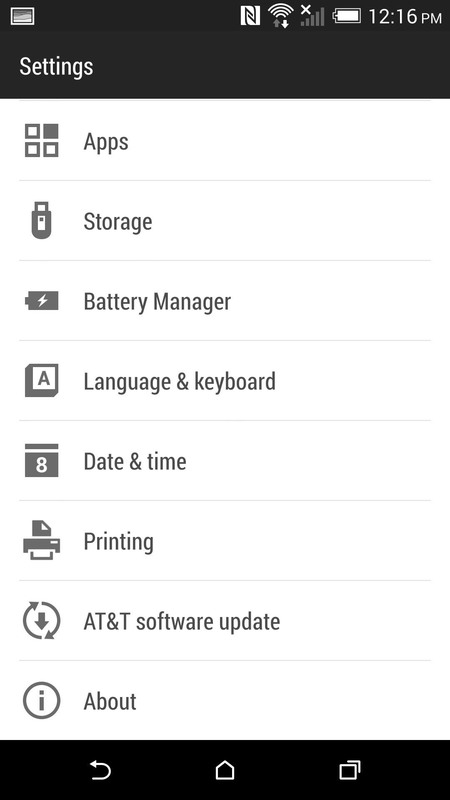 Once in Settings, scroll all the way down to About -> Software information -> More. Now start tapping where it says Build number. You'll see a toast notification letting you know that you're close, and after seven taps, you'll "be a developer". Now you can enable USB Debugging, change transition speeds, have your touches show on the screen, and a lot more. Just keep in mind, Google hid these for a reason, as many people can screw up the default settings on their device. But we're softModders, and we need these options. Just make note of the default values for any settings you change so that you can easily revert back. That was good going until you got to the part enabling Developer options. In your guide you say "...scroll all the way down to About -> Software information -> More. 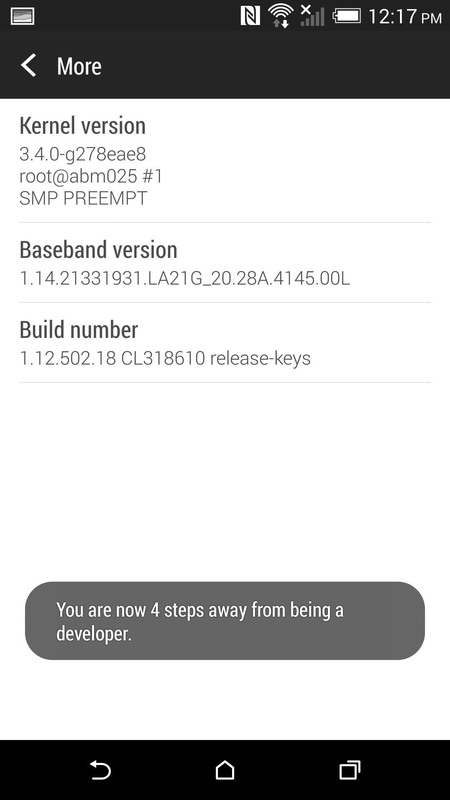 Now start tapping where it says Baseband version. You'll see a toast notification letting you know that you're close, and after seven taps, you'll "be a developer"." 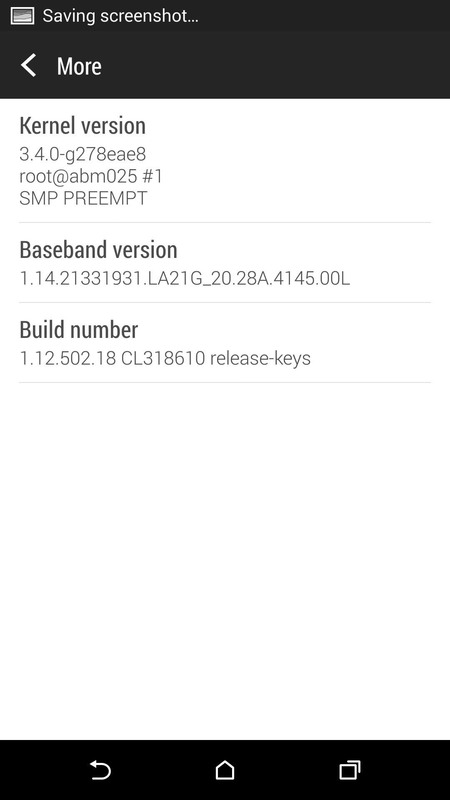 To enable Developer options you need to tap "Build Number" repeatedly, not "Baseband version". Could someone tell me please?? 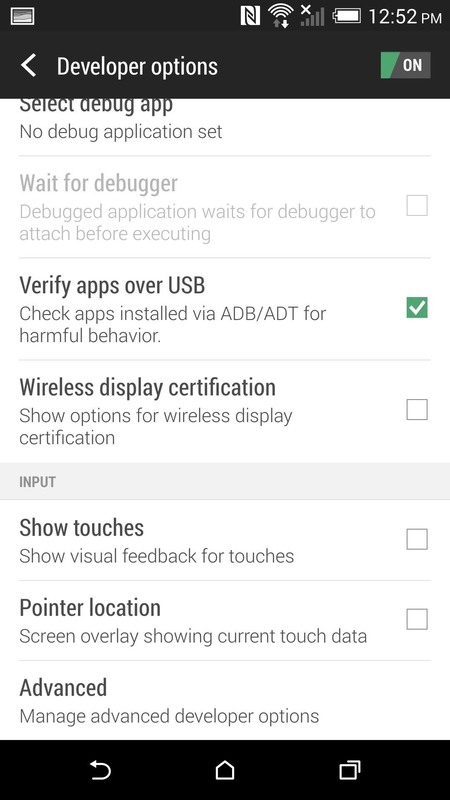 The main setting you would want to enable would be USB Debugging, which allow you to run ADB commands from your computer on your device through terminal/cmd. It also lets you change animation speeds, screen recording behavior, etc. Nope, the only thing that will void your warranty would be to unlock your bootloader or rooting your device. That is strange. Have you unlocked your bootloader/flashed a custom recovery/S-Off? 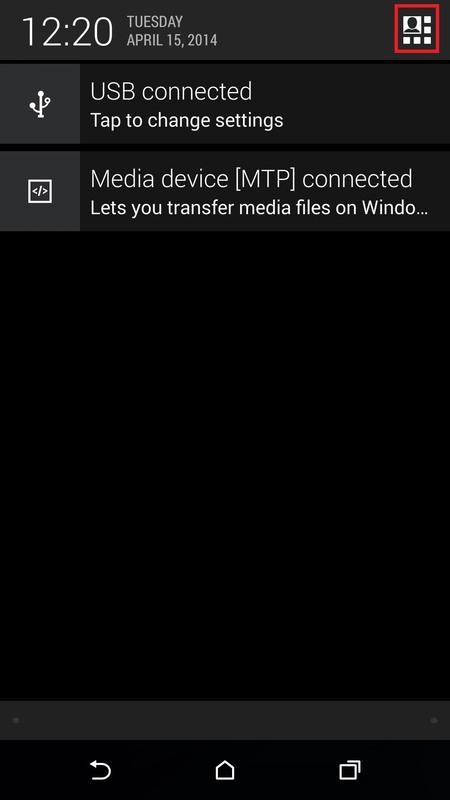 Do you have HTC Sync installed? Also, be sure you are using a USB 2.0 port and try using different ports if the problem persists. If your device is brand new, Developer Mode should not be automatically enabled. That being said, it wouldn't necessarily allow anyone to spy on what you're doing, but it is strange. Just keep tapping build number and eventually you will see the enabled message. Don't worry about USB debugging. Just follow my other guide to fix your soft brick. i could fix my problem of soft brick by following your instructions. thank you very much. Thanks for the praise, and I'm glad I could help you out. I enabled the developer options, the USB Debugging and changed the Runtime to ART. When I first rebooted the phone I got the message the logo, and then a message that the system had been updated and my apps were being optimized one by one. Right after I get the message that "com.android.systemui has stopped unexpectedly", prompting me to send an error report to HTC. Regardless of what I choose, it keeps happening and I see (in the miliseconds the message takes to be repeated) that I have other error messages from apps on the background. Anytime I tried rebooting the phone, the same process was repeated from the beginning. What other mods have you done to your device? 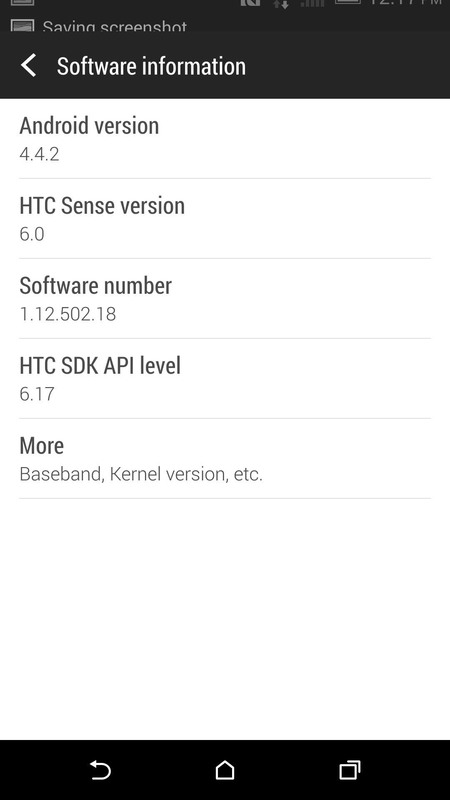 How can i get HTC sense 7 on my m8s which is on contract with vodafone australia ?? This doesn't actually work for my HTC One. It worked on my other tablet... but I get to "Build number" and ... I can tap 'til the cows come home. It doesn't respond. I have a Verizon phone none of the of the screens(after you hit the settings button) you high lighted are on my phone, do you have information available for the Verizon version?